As we grow to rely more on technology every day, the importance of science education becomes more evident. However, the role of technology in our lives is only the tip of the iceberg when it comes to the importance of a good science education. 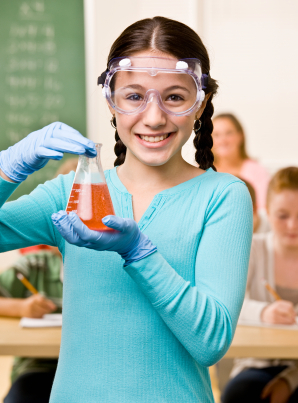 The more your child knows about science, the better he or she will be able to succeed in a changing world. Science helps kids understand and appreciate our world. Science provides a healthy dose of skepticism. Science promotes strong communication skills and teaches about conflict management and collaboration. Science teaches strong research skills. A good science education will go a long way in preparing your child for a better future. From opening up more job opportunities to providing children with the basic knowledge they need to be responsible civic guardians, science is an essential component for the well-rounded education of any child and important foundation for the success of all adults. Anousha jaan, thanks for the great pgoarrm, I know that you must have spent a lot of time on it.To our dear listeners: I appreciate it if you could give us feedback on each week’s pgoarrm and use this area for this purpose, so that we could deliver better pgoarrms of more interest to you.